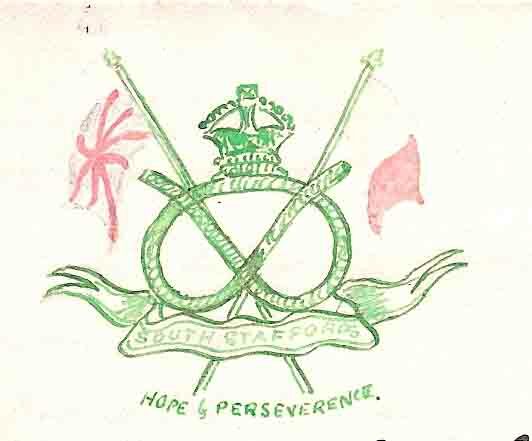 Tag Archives: 1/5th South Staffords War Diary 1916. 17th AUG. 1916: ‘YOU WERE ALWAYS A GOOD SOLDIER & ONE OF THE BEST’. PLATOON SERJEANT W. PRICE: LETTER to Pte BERTIE HIBBETT at The Cenacle, New Brighton, Cheshire. Same Address (1). 17/ 8/ 16. Received your letter & parcel this afternoon & P.C. yesterday. Glad to hear your comfortably settled and hope your wound will make a good cure, but not too speedy a one. It is very good of you to think of us here, it is usually the case for those who are fortunate enough to get back to Blighty to forget those left behind, but there is at least one who remembers and I thank you for it on behalf of the boys and myself. At present I am on a course away from the Batt. but expect to rejoin in a few days, probably Sunday, so will take the cigarettes, etc. with me. I sincerely hope your brother is at the Base Hospital (2). I explained as well as I could in my letter to Miss Foster*, although I had no idea where he was until I had your letter. Please God all is well with him and that he will make a good recovery. I didn’t have anyone killed, the day you were wounded, in the platoon, but one man is missing. I haven’t heard anything of him yet, that was the man who put his field dressing on you, A.V. (3).Yes Gurley* & the boys are all keeping well. I don’t know Ball* but will let you know soon. I don’t know how the other three instructors got on. No wonder you say you are happy, what with your people being near you and the weather and the place – you could not well be otherwise. I hope the only shadow that is marring your happiness will soon be dispelled. 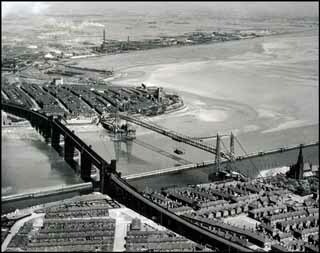 Runcorn-Widnes Railway and Transporter Bridge over the River Mersey. 1905 – 1961 as Serj. W. Price would know it. You know my home is not far from New Brighton. Widnes, the other [side] the Mersey from Runcorn, is where I live (4). I know all around New Brighton, Seacombe, Wallasey etc. quite well. I could envy you if you had not richly deserved your rest. As you say war seems far distant from such surroundings. No we have not been in a charge since you left us. I will answer for it that correspondence is kept up between the platoon & yourself. I will write occasionally, if it is only a note it will act as a connecting file so we shall not lose touch. Yes I wish the boys could be with you to enjoy the privileges of the hospitality shown to us all by those at home. You know I can speak from experience as I was in hospital five months. You made my mouth water speaking of chicken etc, but we are out here for a purpose, let us get this done then we will think of the luxuries of life. Yes Randle* found his way alright. I cannot tell you anything about the roll call, you must guess that (5). I will tell Bird (6 ) what you asked me to. Don’t think you were scoffed at for living as He would have us all live, far from it. We all admire you for the strength of will you exercised to do so, and I greatly admire you for the (card?) incident. I used to ‘say things’ myself at times, but you must remember I was a Platoon Sergeant. Still I always tried to live as I should live. Before I close, Bertie, I should like to say that what I said in my two letters to Miss Foster* was quite true, and you must not underestimate your own qualities as a soldier. I am always candid in my opinion of everyone and I can honestly say you were always a good soldier and one of the best. Please accept the kindest regards of all the platoon and myself. 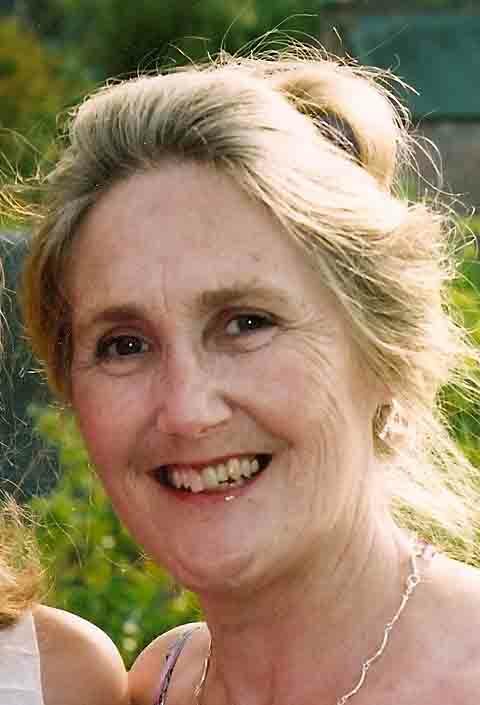 The Hibbett Family was hoping against hope that the verbal report Pte Bertie had received of Sydney’s death was not true and that he might be lying injured somewhere in a Hospital in France. This Letter indicates the lengths Bertie’s Platoon Serjeant W. Price went to help families & friends as they tried to discover the whereabouts of their loved ones. He had already written twice in reply to Mary Foster, Bertie’s Godmother, and here he promises to keep fully in touch with Bertie. His relationship with my father is yet further evidence of the respect and understanding which existed between officers, NCOs & men of 1/5th S. Staffords who volunteered in Walsall, August 1914. WW1 Historian Peter Barton, in a recent authoritative & well documented TV series, suggests that the Battle of The Somme did not end on November 18th 1916 but continued until the following February 1917; when the Germans made a strategic retreat to the Seigfried/Hindenburg Line. <www.the guardian.com>19th July 2016, review of revised 2006 Somme Panorama. 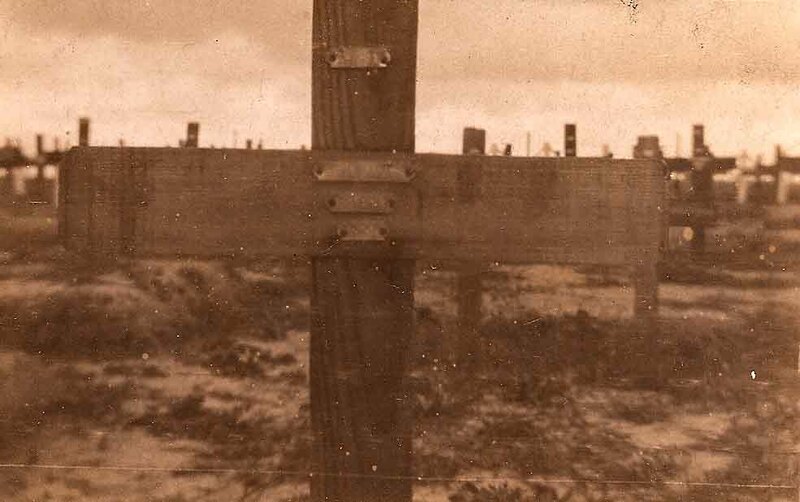 WOODEN CROSS inscribed: ” Unknown Sergeant, S. Stafford”. Photo: Basil Hibbett c.1920. This further length of time, before it was safe to search the Gommecourt Battlefield for those who fell in No Man’s Land, would account for Sydney’s loss of identity and his burial beneath a wooden cross inscribed ‘Unknown Serjeant, South Stafford’. (1) Same Address: i.e. 1/5th South Staffordshire Battalion, B.E.F. the exact location can be found in the War Diary for 17th Aug. 1916. The battalion had moved on up the Line immediately after 1st July. (2) No 6, 9 and No 12 Base Hospital, Rouen. Pte Bertie was in all three from Aug – Oct 1915. Thiepval Memorial to the Missing. (4) Widnes, Cheshire, north bank of River Mersey. (5) Roll Call: i.e. of the Platoon after the 1st July 1916 Charge, Gommecourt. See Casualties 1/5th S. Staffords War Diary Post :1st July 2016. (6) Padre H.E.Bird* (Chaplain QMS 1/5th S Staffords). See Letter to Pte Bertie, 19th July 1916. * See also Menu: Names Page. NEXT POST: 25th Aug. 1916.